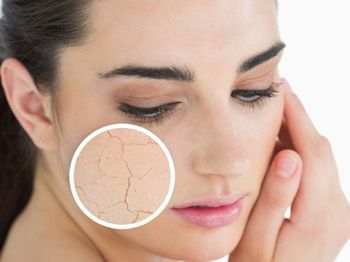 Five ways your moisturiser may be harming your skin - BrightNewMe is a clinic based in Altrincham offering non-surgical cosmetic procedures and anti-wrinkle treatment for both men and women. Many patients I see use moisturisers to try to stave off wrinkles and other signs of ageing. Frequently, however, I hear a complaint that they don’t work and that the skin feels dry and dull despite adhering to a strict moisturising regime, often with expensive products. Why do so many complain of sensitive skin, when the incidence of true allergy is much lower? Why do many people suffer from spots well beyond teenage years? It is easy to misdiagnose rough skin for dryness and then start to moisturise, whereas exfoliation is what the skin really needed. Read on to learn more about the adverse effects your moisturiser can have on your skin. Find out what aesthetic dermatologists recommend for a more beneficial skin care routine. 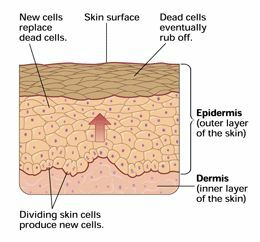 Our skin goes through a natural cycle of regeneration, whereby we shed dead skin cells, to be replaced by newer cells from the deeper layers. However, when we moisturise, we are actually delaying this regeneration. Moisturisers can create a short-lived plumping/ smoothing of the skin, and can certainly feel luxurious to apply, but what we are actually doing is helping to retain old, dead skin cells (and it is these cells which give our complexions the dull tone we seek to avoid). Moisturising also disrupts the barrier function of the skin. The skin is an important organ which provides protection against UV radiation, heat, toxins etc. by using a tight balance of water, lipids and proteins. Moisturising lotions (which are water-based), or creams and oils (lipid based), can disrupt this water/lipid/protein complex. The result is an over-saturated layer which is less effective as a barrier, such that the skin feels tight and sensitive after washing. Moisturising has further adverse effects because the water and lipids in your moisturisers have a negative bio-feedback mechanism – they make the skin less able to hydrate itself so it becomes dry. There is a reduction of both Natural Moisturising Factors (NMF’s – naturally occurring chemicals in the skin which absorb water from the atmosphere) and Glycosaminoglycans (GAGs – the skin’s own moisturiser produced by the fibroblast cells deep in the skin). Many of my patients began to use a light moisturising lotion in their 20’s, and, as their skin became more dry as a result, they further compound this by using heavier lotions with advancing age. Many of us suffer from too much sebum (oil), which is an inflammatory agent. Acne and rosacea are two classic oil-related conditions, both of which occur after the onset of puberty with the production of sebum. Moisturising creams can aggravate these conditions, cause an oily appearance of the skin and worsening pores. Aesthetic dermatologists have observed that habitual, daily moisturising over a prolonged period can actually age the skin. 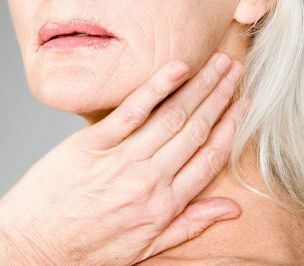 This induced ageing occurs because the same fibroblast cells which produce GAGs (the skin’s moisturiser) also produce collagen and elastin, which help maintain the skin’s elasticity. If we make these fibroblast cells sluggish, due to the negative bio-feedback mechanism, this compounds the decline in production of collagen and elastin which is already occurring with ageing. So should we never moisturise? Of course there are times when it may be appropriate to moisturise, such as when your skin is temporarily dry, perhaps following wind-damage or sunburn. On such occasions cosmetic (rather than therapeutic) improvement can be achieved by moisturising. However, routine moisturising should only really be necessary for those who have certain dermatological conditions which cause true dryness, such as eczema, psoriasis or ichthyosis. What if I can’t stop moisturising? I appreciate that a lot of people would find it difficult to suddenly stop moisturising. However, it would only take 2 weeks or so before your skin adapted. Your skin may well feel tight during this time but gentle exfoliation can help. Using an antioxidant serum and an SPF will also provide comfort after washing. Alternatively you can gradually reduce the amount of moisturiser you use. If you are using a heavy cream, try switching to a lighter lotion. If you are moisturising twice a day, try reducing this to once only, and then less frequently still, until you stop all together. This way your skin will take longer to start hydrating itself, compared with stopping suddenly, but it will gradually adapt and become brighter. Rather than moisturising and hindering the regeneration of the skin, I believe in adopting a regime of cleansing, gentle exfoliating and oil control. Furthermore, for optimum skin health I believe in using an antioxidant serum and, of course, a broad spectrum sun cream in the morning. If you would like to take your skincare one step further, at BrightNewMe I advise on a variety of prescription-only skincare products. As they are medical-grade they contain much greater concentrations of active ingredients, and are formulated to penetrate below the epidermis to regulate the skin at a much deeper cellular level. Having healthy, glowing skin is hugely empowering, and is achievable – but not through the use of moisturisers!